If you want to get the most out of your Microsoft desktop productivity tools, such as Excel, Access, and Microsoft’s Power BI you will need to maximize both integration and automation with Microsoft’s VBA. VBA is the glue that binds the various Microsoft Office applications, in addition to SQL Server, Azure and Power BI. The real Microsoft power users are those that are masters of integration and automation with Microsoft’s VBA. Leverage it fully and you get more done in less time, thus reducing your labor cost. Take your Microsoft applications to the next level with the integration and automation with Microsoft’s VBA. Learn about VBA (Visual Basic for Applications) and how Excel Consultant can use this language, to integrate and automate Microsoft applications. ♦ Microsoft offers a wide array of applications, each of which serving a specific function to improve the quality of your life and the profits of your business. This versatile variety of features offers many advantages, but it can be cumbersome to coordinate them to your benefit. Fortunately, Microsoft also has an answer for this: VBA, or Visual Basic for Applications, an infinitely useful coding language. ♦ At Excel Consultant, our Microsoft masters use VBA to integrate and automate applications, designing software solutions for our clients. In addition to advanced programming, of course, we offer comprehensive consulting and top-notch training, not to mention our industry leading Microsoft Power BI Services. ♦ We are committed to educating our clients about all things Microsoft so they better understand how to utilize these outstanding programs. In the following blog, we explain how we achieve integration and automation with Microsoft’s VBA. 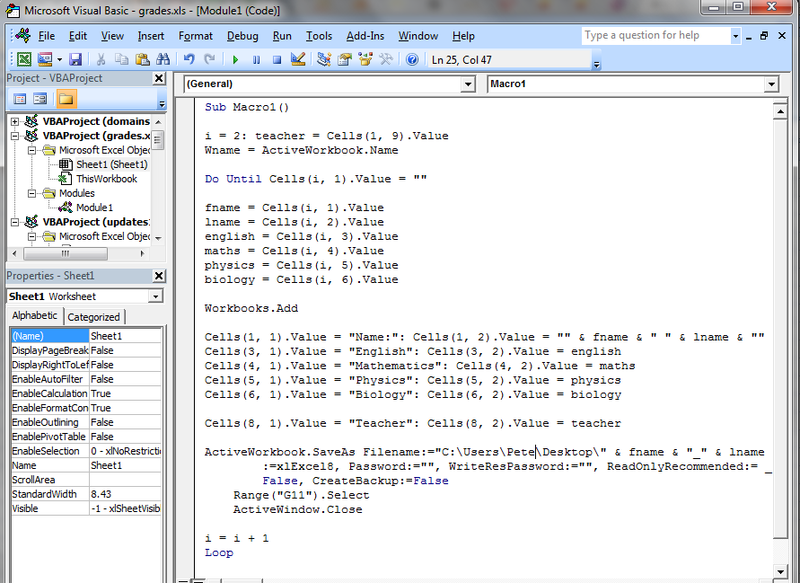 What does VBA look like, see below. ♦ Essentially, VBA is a tool that allows you to tweak Microsoft applications to suit your exact needs and preferences. Instead of coming at an additional cost, “Visual Basic for Applications is a standard feature of Microsoft Office products,” a sort of gift from the company to its users so that they may perform “additional customization beyond what is normally available” in programs. ♦ Virtually anyone with Microsoft programs has access to VBA, but the language becomes particularly valuable in the hands (or, rather, at the fingertips) of skilled professionals like those on our team. When our team of coding whizzes is hired to integrate and automate Microsoft applications, we must leverage the use of VBA to make them cohere and cooperate. ♦ The savvier the VBA code and the more seasoned the developer, the more you can do with the code, and the less the user has to do when working on the files. Taken to the extreme, you can run certain processes with the single click of a mouse, or even set the program to function at a specific time of day, with VBA handling the rest. ♦ VBA is primarily used to create macros, which Microsoft defines as “a series of commands and instructions that you group together as a single command to accomplish a task manually.” Basically, with VBA, you can tell the Microsoft application to do your more tedious tasks on its own. What does a macro look like, see below. ♦ At Excel Consultant, approximately 80 percent of our projects include the use of VBA to make macros. 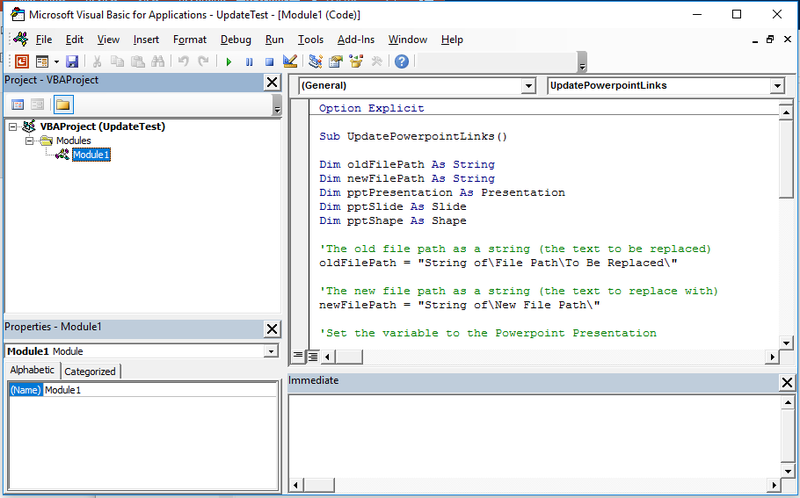 These codes are the glue that binds the suite of Microsoft Office applications (Excel, Access, Word, Outlook, and more) with SQL Server and Power BI. When macros run, they can move data between applications, create workbooks, send emails, and more. ♦ These are just a few of the advantages VBA macros provide. ♦ Our team of programmers regularly creates customized solutions for our clients with VBA. We can design sophisticated macros to help you handle every area of your business, including customer service, data analysis, accounting, and more. ♦ Microsoft applications become exponentially more valuable with innovative integration and streamline automation. We are particularly proud of our accomplishments designing customized CRM (Customer Relationship Management) tools with VBA macros for our clients. ♦ Is Your Organization Ready to Leverage The Power of VBA, To Integrate and Automate Your Microsoft Applications? Excel Consultant can help with VBA macros. Contact us today to find out more and schedule an appointment! Posted on September 15, 2017 Posted in Blog Category and tagged Software, Spreadsheet, Access, Macro, Consulting.